What are the best uPVC sash windows in the UK? If you live in a period property and have considered replacing your original timber windows, you may have asked yourself the same question. At Roseview Windows, we believe the answer is simple. It’s our Rose Collection uPVC sash windows. Why do we believe that this is the case? Let’s take a closer look. It is this attention to detail which has enabled our uPVC sash windows to be accepted for use in conservation areas across the UK. Two of the most important considerations for 21st century homeowners are home security and energy efficiency. If your home still has its original timber windows, it may be lacking in both respects. 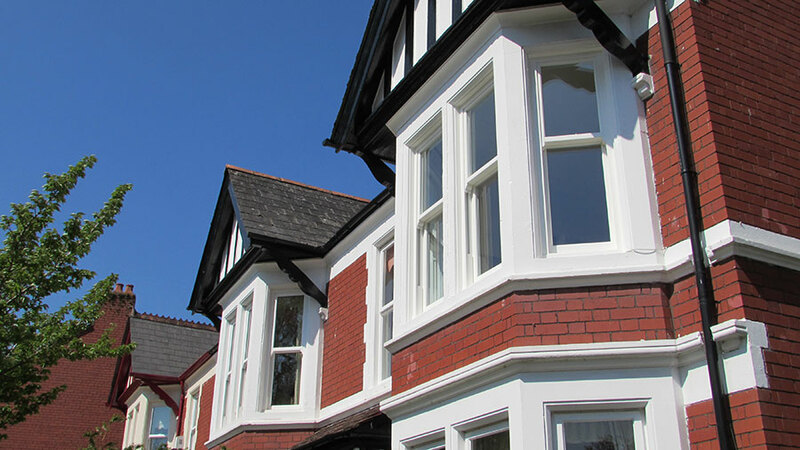 Fortunately, at Roseview, our uPVC sash windows are manufactured using the latest cutting-edge techniques and precision machinery to ensure that high industry standards are consistently met without detracting from their traditional look. uPVC is a durable, robust, and insulating material. By using uPVC to create our sash windows, we can provide homeowners with the best performing products for their property. Problems often associated with timber windows such as rattling frames, draughts, and condensation are a thing of the past when you upgrade to our uPVC sash windows. When closed, they create a tight weatherproof seal to protect your home from the elements. Their highly durable finish is extremely easy to maintain. It will never need repainting or repairing like timber, and with only the occasional wipe down will stay looking fresh and new for many years to come. In terms of security, they are a world apart from their traditional timber counterparts. Fitted with high security locking systems and with an optional upgrade to achieve Secured by Design accreditation; you’ll have peace of mind that your home is safe from potential intruders. At Roseview Windows, we really are the uPVC sash window specialists. We have spent decades developing our products, and our team of designers and fabricators are passionate about creating the industry’s best uPVC sash windows. The team at Roseview never sit still. We are constantly looking for new ways to develop our products, so our windows evolve alongside the ever-changing industry. Over the years, we have continually embraced changes in the glazing industry, adapting our products, and incorporating new technology into our windows. Whether you’re a homeowner, installer, architect, or specifier; at Roseview, we can supply you with the best uPVC sash windows in the UK. For more information about our range of uPVC sash windows contact us today. Call us on 01234 712 657 or send us a message online.